In my last blog, I expanded on the idea that sharing our faith with nonbelievers helps us to gain a full understanding of every good thing we have in Christ. What a great motivation for doing so! As I was finishing the blog, God tickled my brain with another meaning. It sent me to the Greek New Testament dictionary to find out what word was actually used for “sharing.” I was surprised to find the word koinonia. I have never associated that word with the evangelistic sharing of our faith. I was running out of time, so I made a note to get back to it. While visiting my sister half way across the country, and attending a church with a much different style than my home church, God continued to nurture thoughts about the koinonia of our faith and how it helps us gain a full understanding of every good thing we have in Christ. I now have the wonderful luxury of three hours of “free time” while I fly home and am doing some research. I’ve looked up all the passages with the word koinonia and read a number of commentary and dictionary entries related to the word. How fun! (Yes, I’m a bit of a word nerd.) Come along on the journey with me. While my trip took about 2 hours, yours should be much quicker! The word koinonia means a number of things (as most Greek words do). 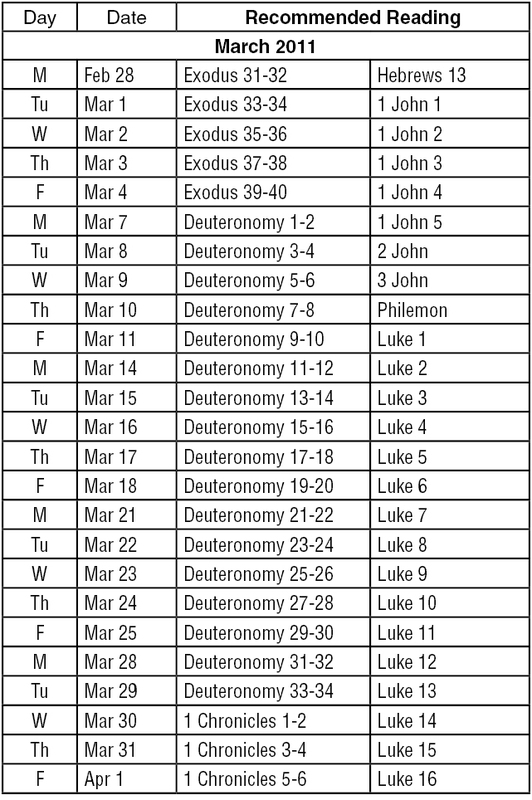 It’s used seventeen times in the New Testament. In only two passages does it mean “communication,” as most interpret it in the passage we’re looking at. In two other passages it’s used in relationship to sharing materially with other believers. For the early Christians, koinonia was not the frilly “fellowship” of church-sponsored, biweekly bowling parties. It was not tea, cookies, and sophisticated small talk in [the] Fellowship Hall after the sermon. It was an almost unconditional sharing of their lives with the other members of Christ’s body. I pray that you may be active in [the fellowship of] your faith, so that you will have a full understanding of every good thing we have in Christ. I pray that you may be active in intimately living a life of faith with one another, so that you will have a full understanding of every good thing we have in Christ. There are many passages that make it clear we are not to live our faith in isolation. This passage goes a step further – it says we cannot gain a full understanding of every good thing we have in Christ when we live our faith without koinonia relationships with other believers. Gaining that fuller understanding occurs as we share what God is doing in our lives with others to encourage and teach them, and they share what God is doing in their lives to encourage and teach us. It also occurs as they see us shrinking back from our first love and admonish us to stay faithful. We Americans don’t like anyone in our business. We like our independence and like to live our lives the way we want to live them. This is the antithesis of the Gospel message and of koinonia. Koinonia requires a sharing of lives that makes independence obsolete. We especially don’t like it when others are bringing correction to us. I would venture to say that most people quit attending their church because the pastor or another believer has attempted to bring correction into their life. How very sad. God has placed our pastors and fellow believers in our lives to help us gain that full understanding of every good thing He has given us. When we sever those relationships we cut ourselves off from the growth God has for us. That means we haven’t learned what God wanted us to learn, so the likelihood is that we will face the same or similar situation in the next church we attend. If we continue in our independent attitude, we eventually give up on church because it is full of people who want to be a part of our lives when we simply want credit for going to church. God wants more from us and has more for us. He wants us to have koinonia relationships – intimate fellowship with other believers that allows them to speak words of correction and life into our lives. Without it we’ll never become the men and women God wants us to be. One of the tremendous benefits of sharing our faith in Christ is that it gives us a fuller understanding of every good thing we have in Christ! That says to me that we cannot fully understand or know every good thing we have in Christ unless we share our faith! This gives me an additional perspective for sharing the Gospel. I am by no means an evangelist, and I often feel like my attempts at sharing my faith are a bit lacking. Yet I am committed to the importance of the challenge – how will they believe unless someone tells them? (Romans 10:14-15) I have always seen the activity as something I do for God and for the other person. But this passage tells me that I also receive benefit from it. In thinking about this, I can see how it is much like the benefit one receives from teaching. Any teacher will tell you that they learn more when teaching than their students do. Their learning comes first from their preparation and secondly from the students and the questions they ask and insights they provide. As I study to prepare myself to share the Gospel, I learn more about all that God has done for us. As I share it, I am blessed simply because I have been obedient. I may be further blessed by the questions and observations of the one I’m witnessing to. And the greatest blessing of all is when the person responds positively to the Gospel. Whether there is a response or not, however, we can know that we have made an impact for the Gospel, just as we know that we are impacting the future beauty of the flowers in our garden when we water them regularly. We don’t always see an immediate response, but there is a response. We don’t always see a response to our words, but we can be assured that something happens in the spiritual world each time we share the Gospel. What do you need to do to be better prepared to share the Gospel? Praying is a start. Pray for specific people you would like to share the Gospel with. Pray that God would bring people across your path who need to know Him. Pray for fertile soil – that these people would be prepared to hear and respond to the Gospel. Pray for wisdom, courage, compassion and the right words to say. While you pray, invest a little time in learning methods for sharing the Gospel. You might familiarize yourself with the 4 Spiritual Laws or the Goodness Scale approach to sharing the Gospel. Write out your testimony. Yes, write it out. (OK, you can type it out.) Create a version that you can share in just a minute or two as well as a version you can share in 3-5 minutes. We’re to always be ready to explain why we place our hope and trust in Jesus. Who might you need to share the Gospel with this week? I know this is a topic that many Christians want to avoid, but Paul’s letter to Philemon tells us that we won’t fully understanding of every good thing we have in Christ unless we are active in sharing our faith. So for the sake of those who need to hear the Gospel, and for your own sake, pray, study, and then SPEAK UP! The exciting thing is that all reveal God’s purposes, His nature and His great love for us. Here’s a snippet from Deuteronomy, Luke and 1 John. 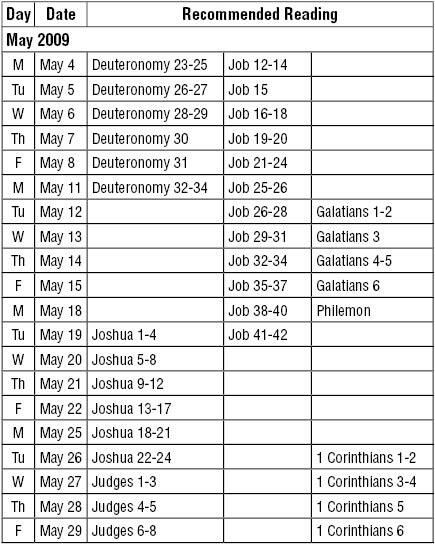 If you don’t know this God, I encourage you to read with us this month. 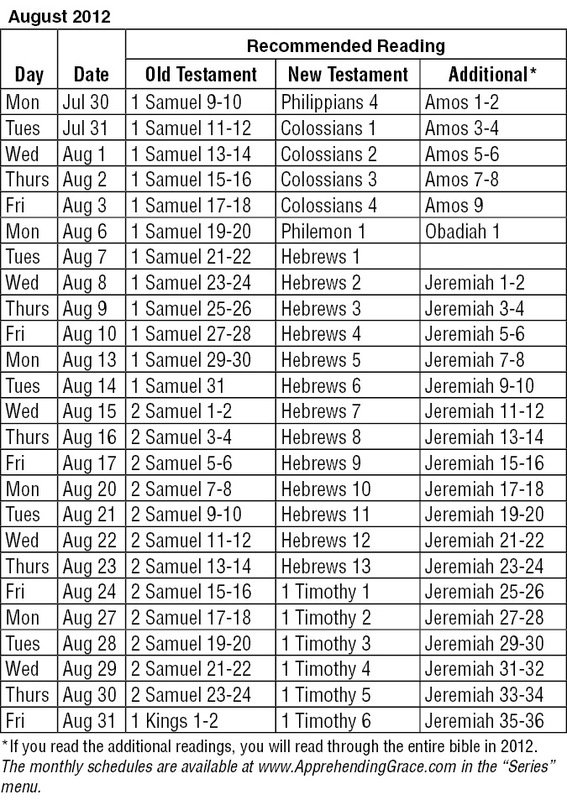 If you do know this God, I encourage you to read with us this month. He has something to say to each of us. I’m looking forward to it! 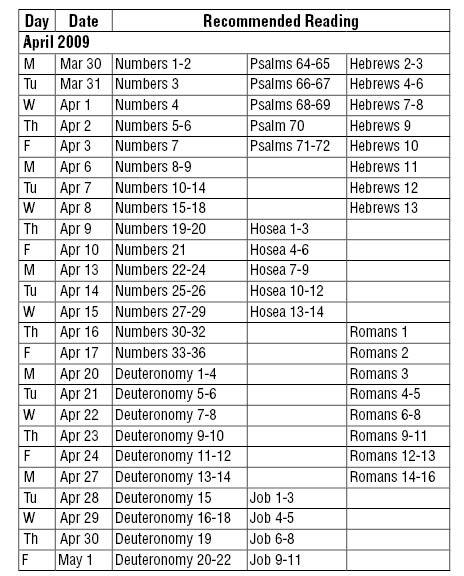 The recommended reading schedule for March is below. To download a PDF of March’s recommended reading plan, click here. Well, it’s many books, but it’s not really much time. We’ll finish six books and start two others in August, but we’ll do it at the same pace as we’ve been travelling throughout the year – three chapters each day, Monday through Friday. I’ve had a number of conversations about reading through the Bible recently. It seems that many people have the misconception that they just can’t do it. “I’m not much of a reader,” is what I’ve been hearing. 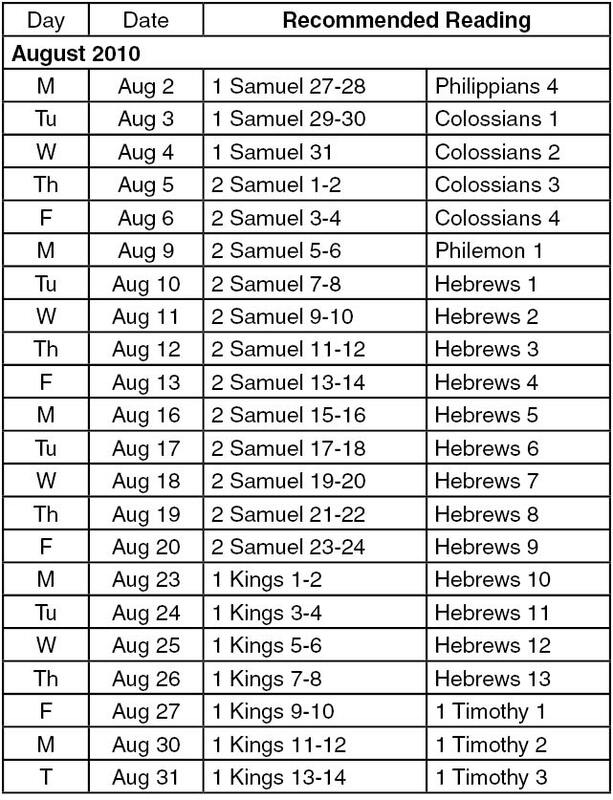 (1) You don’t have to be much of a reader to read through the New Testament in a year. All it takes is reading one chapter each day, five days a week. Even if you are a slow reader, you can probably do that in less than ten minutes. Increase that time to thirty or forty minutes each weekday and you can follow our Resting at the River’s Edge schedule. 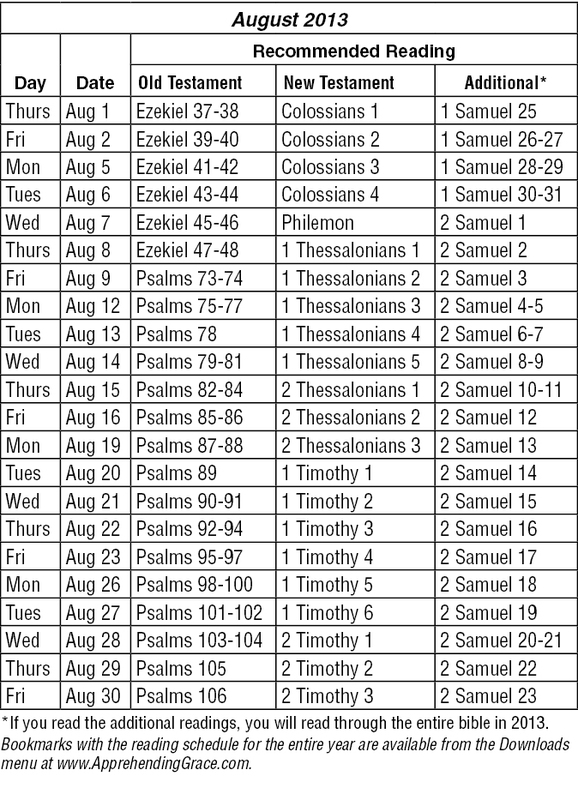 Over a two year period, you’ll read through the entire Old Testament once and the New Testament twice. (2) There are many modern language translations available. You can check out different translations online. Read from several different versions. If you find one you like, head on over to ChristianBook.com and pick it up. (3) It’s the inspired Word of God. I confess – sometimes it doesn’t feel like it! But when it does, it’s magical! (That would be magical in the sense of “wow!” and “cool” and “how does God do that?”, not magical in the sense of sorcery of course). Reading through the whole New Testament and/or the whole Bible pulls the story of God’s plan together in a way that isn’t grasped by reading less methodically. So even if you haven’t been reading along with us yet, I invite you to join us in August. In August we’ll finish 1 & 2 Samuel – the story of David’s life. God called David a man after His own heart – that seems like reason enough to study his life. 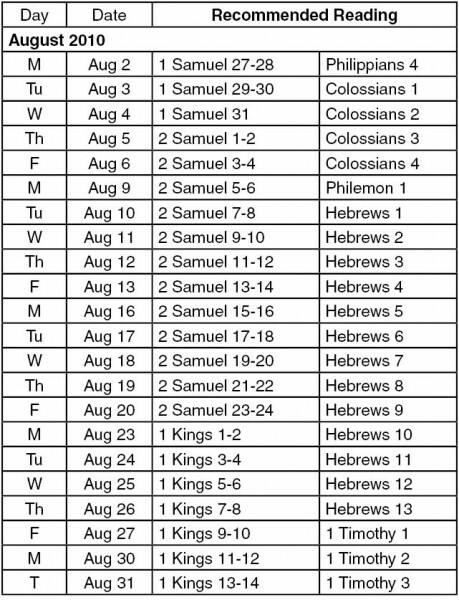 In the New Testament we’ll read Collossians, Philemon, and Hebrews. In the book of Hebrews we’ll read about how Jesus Christ is the fulfillment of all that is taught in the Old Testament – He is our sacrificial lamb; His blood was poured out for the forgiveness of sins; He is our great high priest. Mr. T used to say “I love it when a good plan comes together.” Hebrews pulls God’s plan together and spells it out for those of us who didn’t catch it on our own! May God whisper in your ear as you read with us this month! The recommended reading schedule is below. To download a PDF of August’s recommended reading plan, click here. Spring is in the air and it’s time to move on. That’s what you’ll read about as you get into Joshua this month. First, though, we’ll finish Job. It’s a hard book, sometimes, but I’ve been so blessed by the bit we started in April. And in the next few days I’ll be posting a link to a good blog about what Job teaches about suffering. We’ll also read Galatians and Philemon this month and begin 1 Corinthians. Lots of territory to cover. May I recommend that if the weather is nice in your area of the world that you take your Bible and sit outside with the Lord some? It does wonders for the soul…especially if you live in a state that has kept you inside for quite a while like I do. As always, don’t become frustrated if you don’t keep up. Simply keep the reading plans and mark of what you read as you read it. It’s fine if it takes you two or three years to read through the Bible – it’s a great accomplishment no matter how long it takes. To download a PDF of May’s reading schedule, click here. Enjoy your time at the river’s edge this month!